The company offers a full set of transport services on the inland waterways of Russia and at international maritime roads. 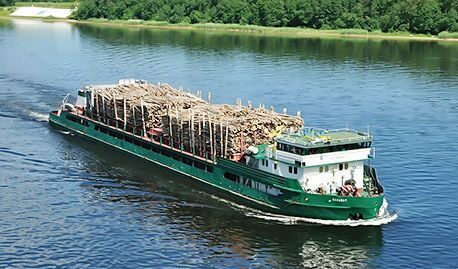 Clients of the Neva-Hugen are the largest Russian exporter of timber, global forestry products corporations, mining companies, as well as multimodal spedition companies. Our company has wide experience and knowledge in the field of transportation of oversized and heavy cargoes. We have successfully completed a lot of transportations for oil and gas, energy, brewery companies, for the Ministry of Defense.